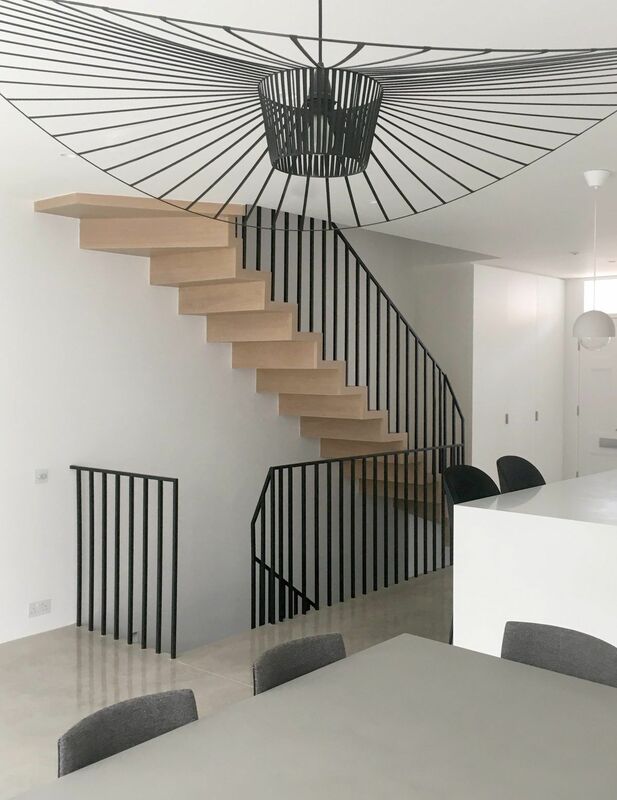 Cousins & Cousins has refurbished and extended this 3-storey North London home, creating a series of contemporary spaces from a modest 1960s terrace house. 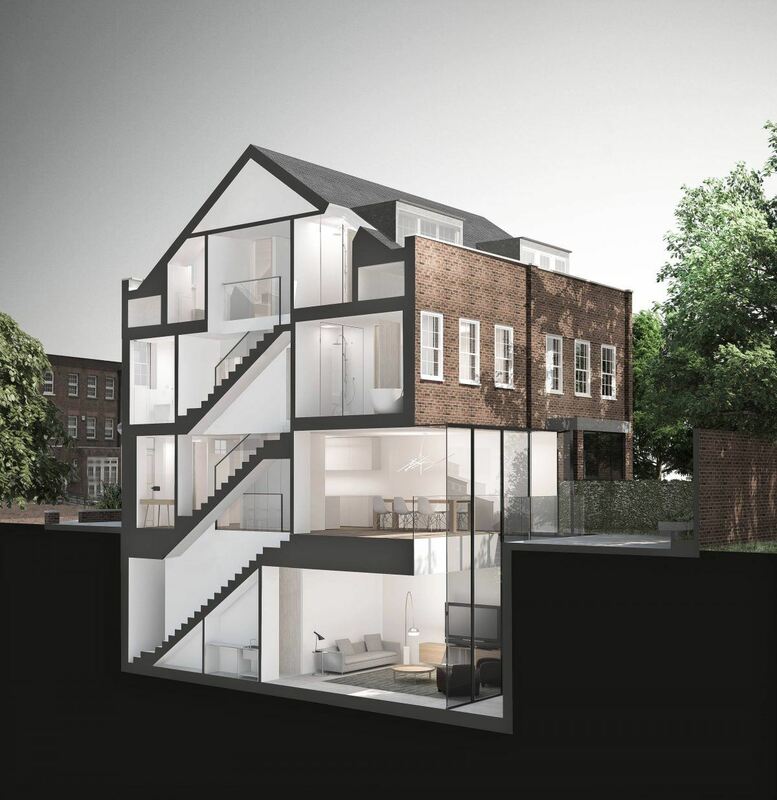 A single-storey basement was excavated, the existing extension was replaced, and light has been brought deep into the ground floor and basement plans using large front and rear lightwells. The interior has been fully refurbished. 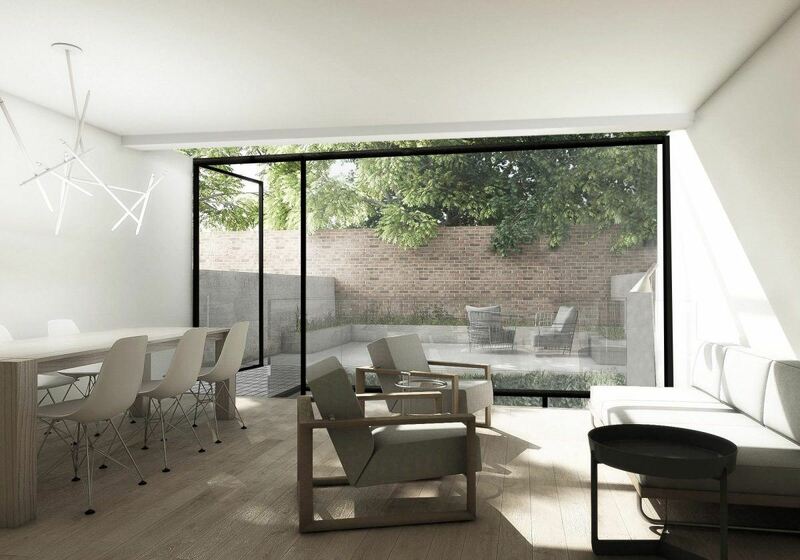 A new basement garden room, clad with a natural green wall, brings nature and natural light into the lower floors. On the ground floor the kitchen is linked to the new landscaped garden via a glass bridge. Both design aspects surround the occupants with greenery. 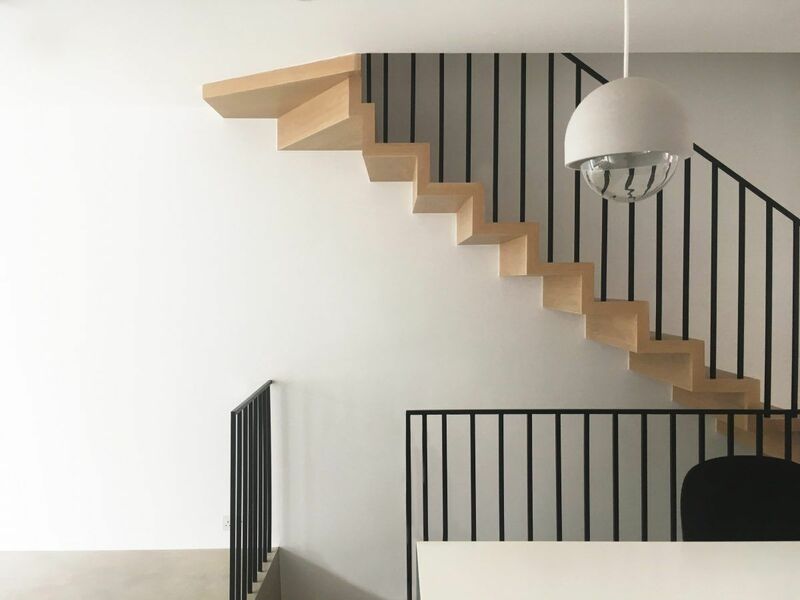 A bespoke, ribbon-like staircase rises from the basement. Cast in concrete below the kitchen, and worked from timber above, each flight is complemented by slender black rails which are echoed by the pendent lights above.